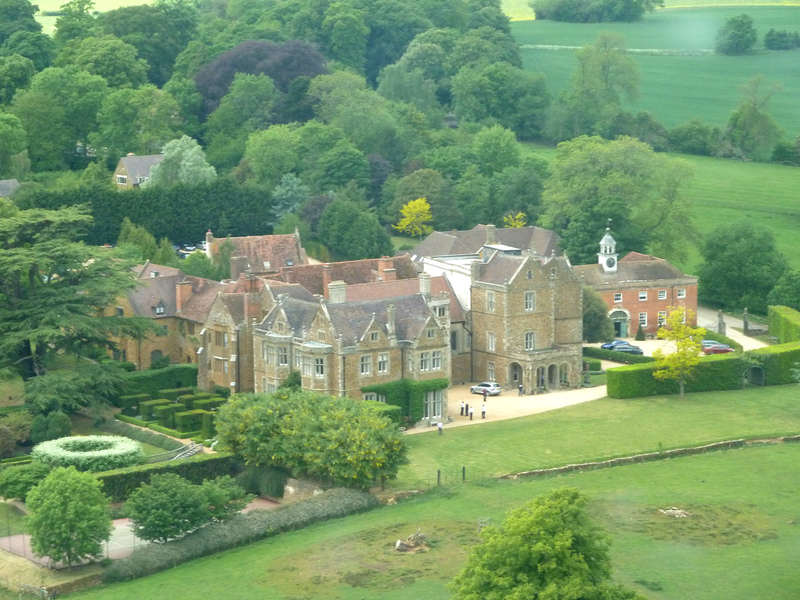 The land around Fawsley Hall has belonged to the Knightley family since the early 16th century. The family entertained Elizabeth I and were supporters of Oliver Cromwell. 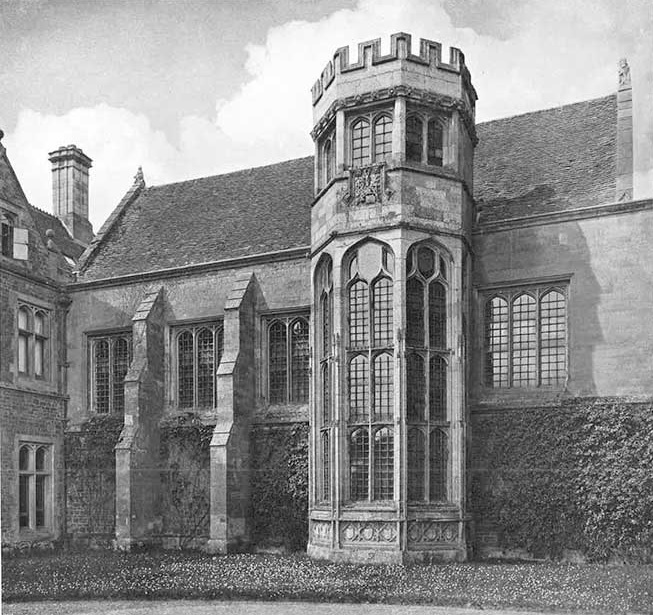 Fawsley Hall comprises builds from several periods. Parts of Sir Edmund Knightley’s 16th century house were added to in 1732 when the north wing, attributed to Francis Smith, was built. This was remodelled by Thomas Cundy in 1815 and again by Anthony Salvin at the same time as building the south-east wing of 1867-68. It stands within 2,000 acres of gardens and landscape partly designed by Capability Brown in the 1760s. Fawsley Hall was last lived in by Lady Louisa Mary Knightley until her death in 1913. She is remember for befriending John Cary Merrick, ‘The Elephant Man’, and provided him with a cottage on the estate for the only three holidays he ever had. With the house empty the last Knightley Baronet died in 1938 and the estate was inherited by a nephew, the sixth Viscount Gage of Firle Park, Lewes, in Sussex. The house was requisitioned in World War Two and suffered terribly at the hands of the military – “the worst wreckers of country houses since Cromwell,” says Simon Jenkins. “Its 70-odd rooms echo hollowly as one walks, for the Hall has been empty since troops billeted there left in 1944. Notices on doors still bear witness to the last occupants – ‘Common Room’, ‘Sergeant’s Only’, ‘Company Office’. 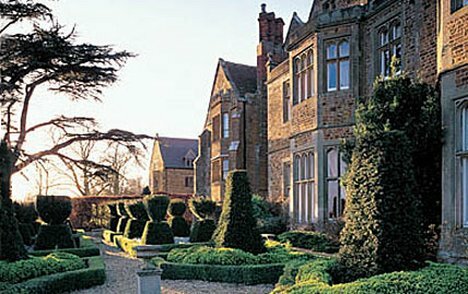 Lord Gage never lived at Fawsley Hall but in 1948 he formed a joinery firm that two years later merged with the Over Timber Company of Byfield which moved its workshops into the crumbling house. A sawmill was later built in the grounds behind the house. “I walked around the echoing halls and passages and found them piled high with shavings and stacked with timber. “Where Cromwell, Pym, Hampden and Haselrigge once conversed as they dined, the falsetto scream of a circular saw awoke the echoes. The tall mirrors of the ballroom, the carved tracery above the great mullioned windows, looked down on wood, wood, and more wood being turned into crates, gates, fencing, feeding troughs, and pig huts. “Near the foot of the great staircase, with dust gathering in the toothless gaps of the sweeping bannisters, someone was operating a ‘four-cutter’ – one of the most modern of machines that cuts and planes four sides of a plank simultaneously. When Pevsner visited in 1972 the house was woefully derelict. 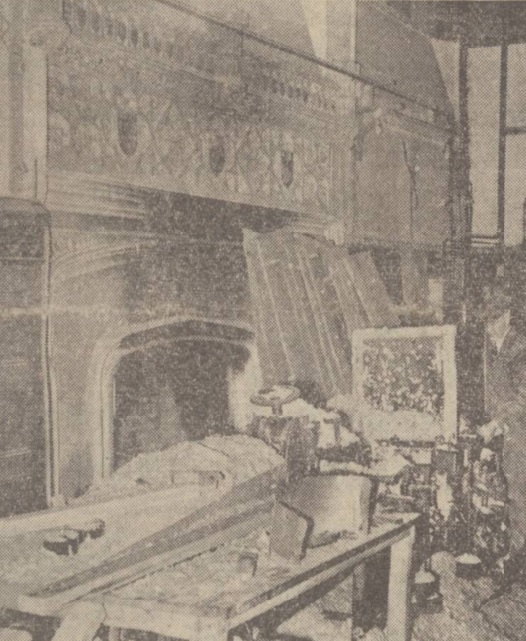 The Saunders family bought the house and converted it into a hotel and reinstated the missing roof. Simon Jenkins called it ‘a happy restoration’. After passing into the hands of entrepreneur Simon Lowe and Indian conglomerate, the Poonawalla Group, it was put up for sale for £15million in 2013. It was acquired for an undisclosed sum by Hand Picked Hotels a few months later. The hotel underwent a £4.5 million restoration in 2014-2015. 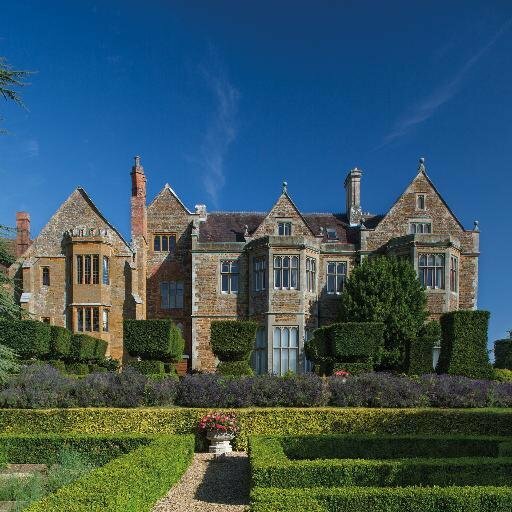 I could weep on how my family’s once great house was allowed get to this state by the Gage family when they inherited the house and 2,000 acres estate from the 6th Baronet.